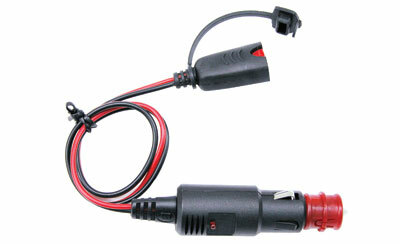 The 69457 12V BMW Cigarette lighter Adapter with Connector allows easy connection of BENTON chargers to a standard car cigarette lighter receptacle or a motorcycle’s accessory socket. It also plugs into the female DIN Socket accessory. Protect with 8A glass fuse.